A conference room is a place of first impressions. It’s where clients, consultants and prospective employees are introduced to your company, so you want that initial impression to be strong and concise. You can give your conference room the impact it deserves by designing to impress. High ceilings, sleek design and airy, well-lit spaces can inspire visitors and encourage productivity. However, these same design elements can work against you - high ceilings and hard surfaces also present specific acoustic complications that can inhibit the usefulness of the space. Also when teleconferencing, as is common in today’s conference rooms poor acoustics can severely impact the quality of conversations. 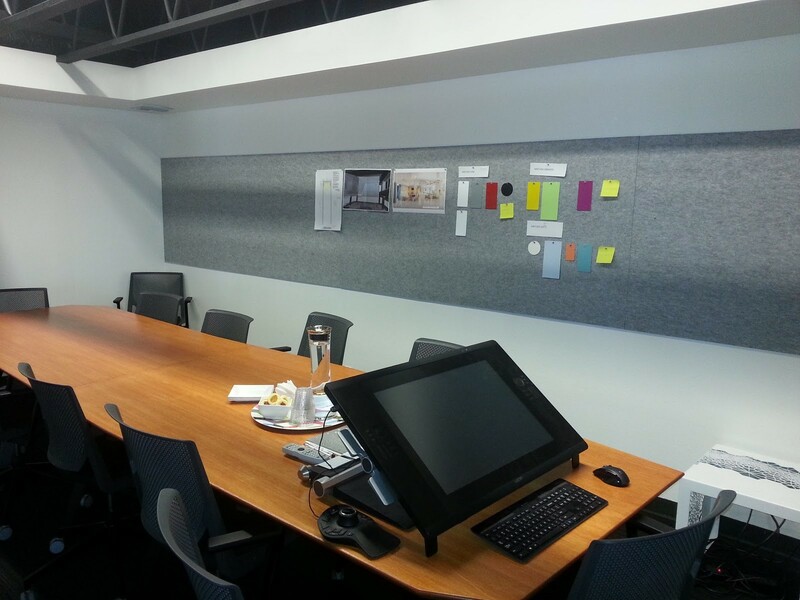 Our conference rooms are often designed for visual impact, with glass walls, whiteboards and big-screen televisions. And while creating an impressive look is key, the materials and surfaces used in many modern offices reflect sound a little too well. Reverberation Time (RT) is often uncomfortably high in a space like this. (that’s the time it takes for sound to decay within the space - too long and it sounds echo-y) It’s important to keep reverberation time down to manageable levels so that conversation is easy and understandable. Many company meetings today include team members or clients who join in remotely. We invest in high-quality technology for those calls, but poor conference room acoustics can often negate the investment spent on that technology resulting in wasted time on calls trying to understand each other. Privacy should also be a priority, but it’s not uncommon to hear what’s going on in conference room even when the door is closed. It’s important to address sond leakage from rooms where privacy is important. Doors and seals around windows should be checked for sound leakage. 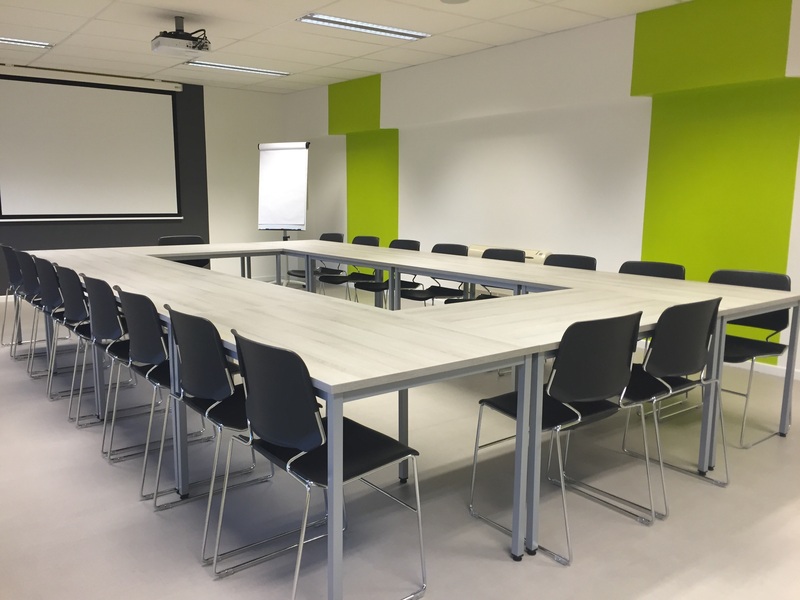 Luckily these issues can be addressed with a few acoustic solutions, whether you’re designing a new space or retrofitting your current conference room for better sound quality. Larger spaces mean more opportunities for sound to bounce around in undesirable ways. High ceilings create a distance between the source of sound and its reflected surface, resulting in an echo that can make the space feel stark and empty. 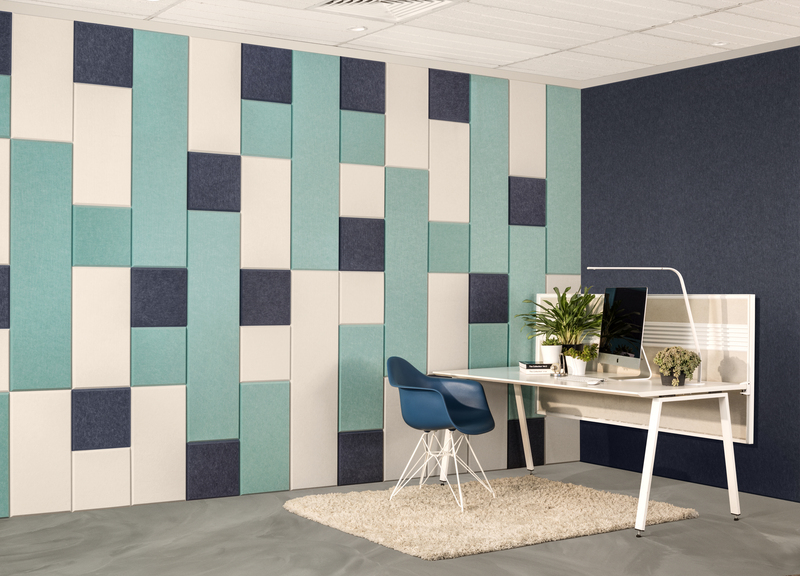 Solutions for this are as simple as using sound-absorptive acoustic materials for the wall surfaces in the conference room. 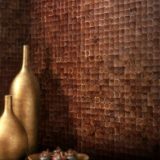 These materials help dampen the sound that reflects off the surface of the room. The resulting space is one that feels grand and intimate at the same time, so that there’s nothing to distract from the content of the meeting itself. No matter how you deal with acoustics in your conference room, nothing should undermine the visual presence of the space itself. Remember, that room is a representation of your brand, as well as the perceived value of your company. 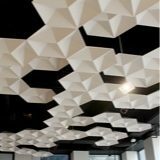 Visually interesting ceiling clouds and baffles solution will prevent excessive sound reverberation while adding a decor cool factor that will make an impact. Kirei offers several visually stunning ceiling panel options that can transform your conference room space visually and acoustically. 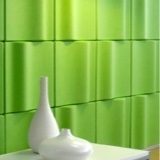 Treating conference room walls with acoustic solutions also serves a functional purpose. For meetings that require visuals, having a designated place to project video or presentations can add focus and organization. For example, you can attach acoustic wallboard to the desired presentation area. Use that platform to attach images, diagrams, financial reports or even utilize it as a projection surface for digital content and videos. For additional acoustic performance, install the panels 1 to 2 inches off the wall via disk spacers. This allows air to flow behind the panel, and acts to trap sound that might otherwise flutter about the space. You might not realize it, but the floors of your conference room have just as much to do with the acoustics as the rest of its surfaces. 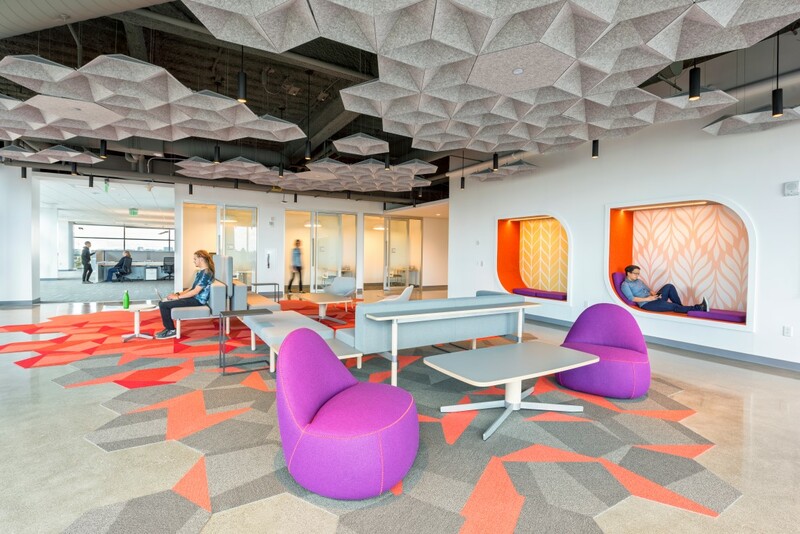 When planning for acoustic comfort, the floor often goes overlooked. This contributes to unwanted echoing and reverberation. 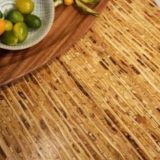 Considering many offices today are using harder surfaces for floors (hardwood, tile, or exposed concrete), those effects are being compounded. Something as simple as an attractive area rug can go a long way to control acoustics, without having to resort to boring carpet tiles. 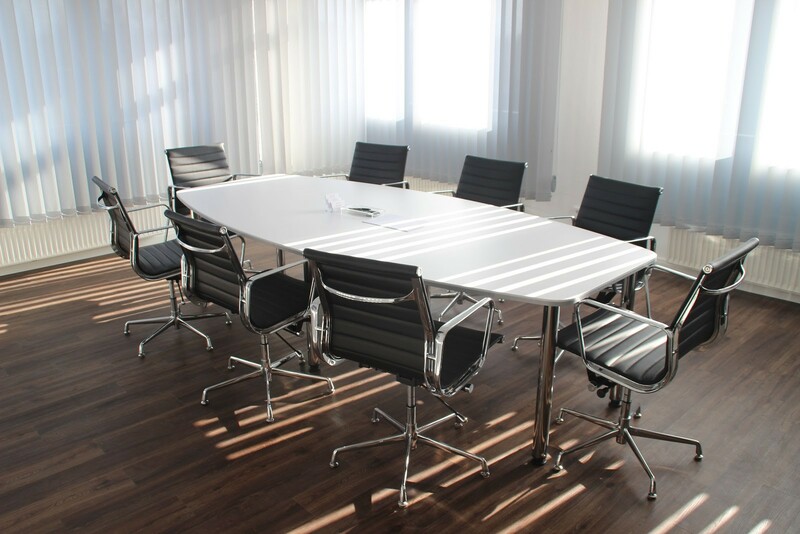 The conference room is one of the most important spaces in any office. Treat it like the face of your company from an experiential perspective, and galvanize the way in which you present your business to clients, employees, and the outside world. When the quality of your acoustics aligns with the quality of your brand, you know you’re putting your best foot forward.